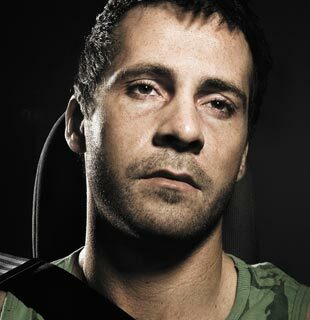 It is estimated that fatigue is a factor in up to 30% of fatal crashes and 15% of serious injury crashes. Fatigue is more likely to be a factor in crashes in rural areas as they can involve long trips and extensive periods of continuous driving, however anyone can be affected by fatigue, even when driving in the city or suburbs. Driver fatigue is particularly dangerous because one of the symptoms is decreased ability to judge your level of tiredness. Research has shown that not sleeping for more than 17 hours has an effect on driving ability the same as a Blood Alcohol Concentration (BAC) of 0.05. Not sleeping for 24 hours has the same effect as having a BAC of 0.10, double the legal limit. If you don't get enough sleep you will go into sleep debt and will 'owe' yourself more sleep. The only way to repay this debt is by sleeping. Until you catch up on your sleep, before driving, you will have a greater risk of having a fatigue-related crash. Fatigue can cause a driver to drift across to the incorrect side of the road and collide head with another vehicle. It is important you are aware of the signs of fatigue. Listening to the radio, drinking coffee and opening the windows or vents for fresh air are not sufficient to prevent fatigue over long trips. If you are tired, the best thing you can do is to pull well off the road and sleep. There is no substitute for sleep if you are tired. How do I avoid fatigue? Get enough quality sleep before you begin driving. Be sure to have seven to eight hours of uninterrupted sleep before your trip. The worst time to begin your trip is after work - you will be tired already, even if you do not realise it. Aim not to travel more than eight to ten hours each day. Eat well balanced meals at your usual meal times. Avoid fatty foods, which can make you feel drowsy. Avoid driving at night. The chances of crashing are much higher late night and early morning.